Parkdean Resorts is to invest £42 million across its parks this year with a primary focus on new accommodation. 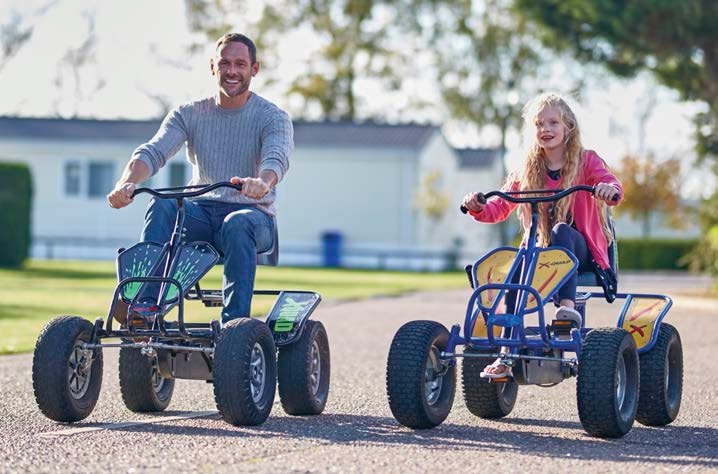 Following a record £50 million worth of investment last year, the 2018 roll out takes Parkdean Resorts’ investment total to £130 million since 2016. The business now has 72% double glazed and central heated caravans due to an increase of over 1,450 in the last three years. The company is spending £13 million on 800 new caravans to meet higher demand for holidays and ownership opportunities. In response to customer feedback, these models will include the introduction of more one and four-bedroom caravans – and particularly those with a higher specification. Features include en-suite bathrooms, new and upgraded entertainment units, spacious seating and homely touches to ensure a really enjoyable stay. Vauxhall in Great Yarmouth, one of the company’s biggest parks, has enjoyed an extensive replacement programme since its acquisition by Parkdean Resorts in 2016. The park will welcome 60 modern double glazed and centrally-heated models to upgrade the caravan offering on park. New lodges including a range of four-bedroom models are also set to be added to a variety of parks offering wider choice following a£1.3 million investment. Nodes Point on the Isle of Wight is receiving 11 new lodges in a£0.75 million investment – six for holidaymakers and five for ownership opportunities. Meanwhile £0.52 million will bring four luxury lodges with hot tubs to the popular Fallbarrow Holiday Park in the Lake District. A further £3.9 million has been allocated to refurbishing existing accommodation to enhance holidaymakers’ experience. Additionally,upgrades to retail and leisure facilities will be completed for the 2018season, as well as extensions of touring and camping areas at key parks.